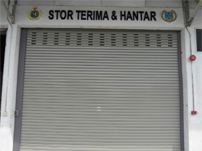 Hightex® Dynamic Light Duty shutters are designed to provide security for commercial areas. The standard thickness of slat is 0.5mm. These slats are made from high quality steel to provide the need for security and it is cost effective. The finishing coat of light duty shutter is colour bond, zincalume and galvanized iron. Colour bond slat which has the colour of beige and grey is the most commonly used. Usually beige colour is used for the outdoor surface, while grey is used for the internal surface. 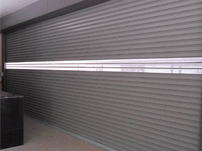 The maximum size of single panel manual spring shutter is 3,600mm(width) x 3,000mm(height). Any additional length for manual operated, center mullion can be added. The option of ventilation slot, ear lock, and ground lock can be added with an additional fee. 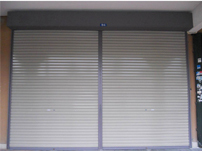 Motorized operated light duty roller shutter can be considered for ease of usage. 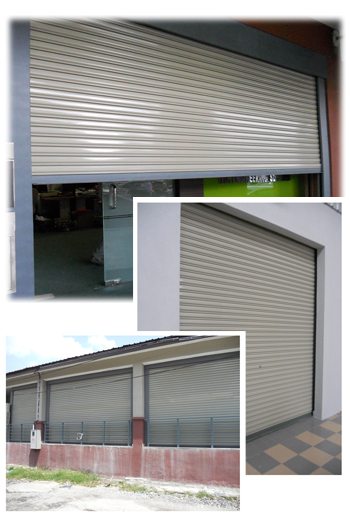 Premium Fire Rated Roller Shutter Doors Installer & Supplier in Malaysia.